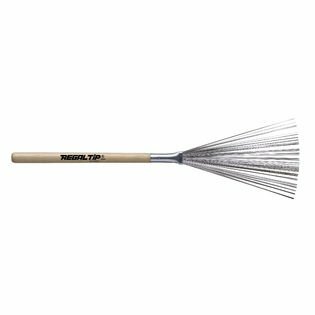 Regal Tip's "Wood Handle" Brush is a fixed spread, wire brush with an American hickory wood handle and the famous Regal Tip finish. This wire brush is great for back-sticking and gives players a clean, crisp sound at any venue. This is the brush that started it all!